The Business Energy Efficiency Programme (BEEP) has helped many businesses to become more energy efficient and ultimately save money on their energy bills. 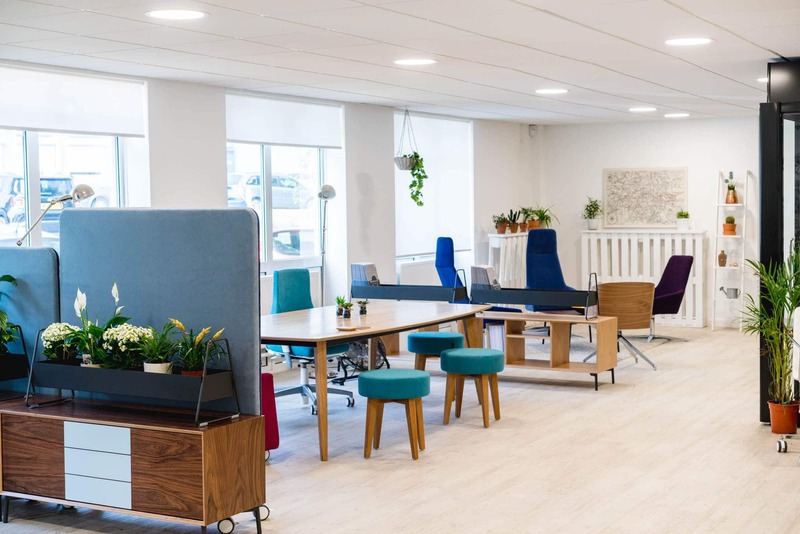 One business supported recently by the programme to improve energy efficiency was Nomique Seating Limited, an office seating manufacturing company based in Telford. Nomique manufacture a wide range of office seating including sofas and operator chairs. Their products can be upholstered in a variety of different colours and shades of fabrics, so having enough light to see clearly is key to productivity. Whilst their factory lighting had sufficed during the summer months, the team were worried about the onset of winter and poor lighting affecting the quality of work. 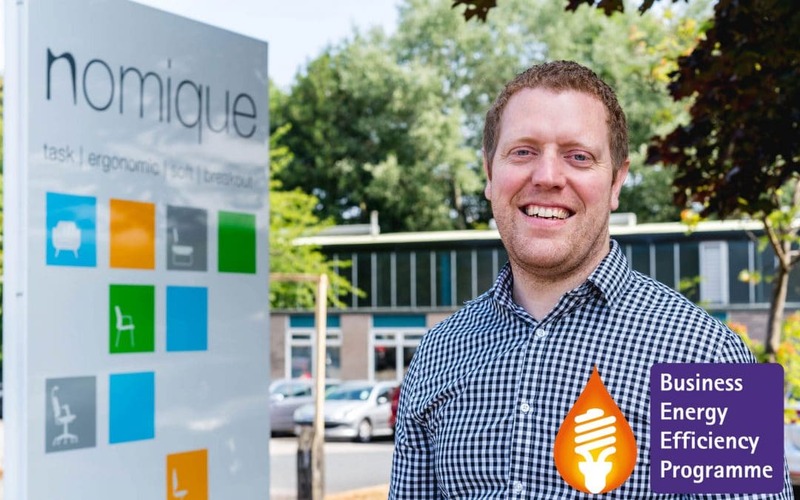 After independently looking into the potential costs of upgrading their factory lighting, Nomique were contacted by a BEEP energy efficiency advisor who offered to review their current energy usage and see if they could save any money. In carrying out an energy efficiency assessment, the assessor confirmed that the lighting was the single biggest potential saving and energy efficient improvement the business could make. Nomique decided to go ahead and were helped by their advisor to access a BEEP grant of over £9,000 to replace their current lights with LED lighting. This will result in the saving of approximately 25.6 tonnes of greenhouse gases per year and an annual saving of £5,850.00 on their energy bills. Initial feedback from Nomique has been really positive, with a noticeable increase in the quality of work being produced. The new lighting has also inspired the company to reconfigure their reception and showroom area into a bright and welcoming space. “From start to finish the process was simple and straightforward, with minimal paperwork. The selected contractors completed the job in around two weeks, working around us to cause minimum disruption and it has been worth the effort. The Business Energy Efficiency Programme (BEEP) is funded by the European Regional Development Fund and is a partnership between Worcestershire Councils, Herefordshire Council, Telford & Wrekin Council, Shropshire Council, Shropshire Chamber of Commerce and Herefordshire & Worcestershire Chamber of Commerce. To find out more about the Business Energy Efficiency Programme or to see if your business is eligible for a free energy efficiency assessment, please contact us on 01905 677 888.